Imagine it's your wedding day. All of your family and closest friends are together under one roof to celebrate YOU. Your biggest moment has arrived. You walk down the aisle looking absolutely gorgeous, leaving your guests and groom absolutely stunned by your radiance. 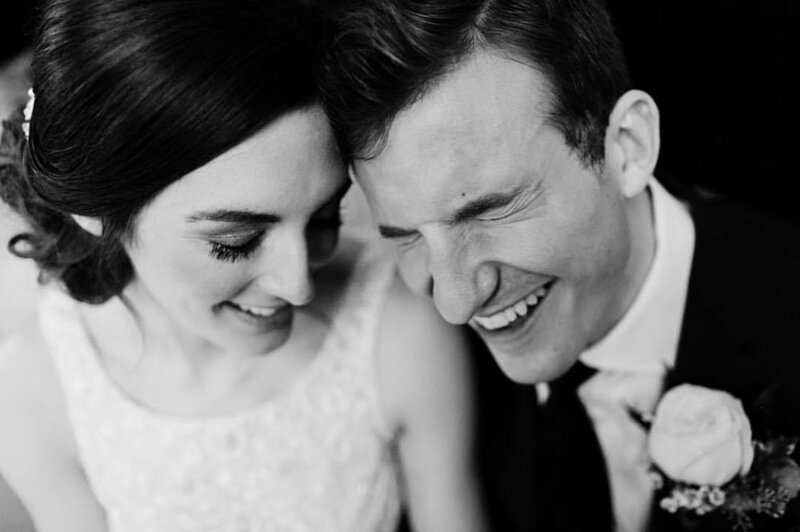 You fall in love with the day all over again when see your wedding pictures and hang them in your home for years to come. Here at Moxxie, we specialize in making your wedding day beauty dreams a reality. Our team has more than 40 years of combined experience in the bridal beauty business (read more about us HERE), and we are passionate about our craft. We thank you for visiting us and inquiring about our services for such an important part of the most special day of your life. We look forward to getting to know you and providing on-location pampering to you and your friends and family. We know that no two brides or weddings are alike and so our top priority is providing you with a VIP experience from beginning to end. That starts with showing you exactly what to expect when you chose us. Below you will find a step by step guide of our process and the benefits of our onsite luxury bridal beauty services. We hope you find it helpful! In order to best serve you with the options that we offer, we invite all our interested brides to schedule introductory phone consultations with us so that we can learn more about you, your wedding, and your overall vision. Start by inquiring HERE to see if your date is available. We respond to every inquiry within 12-24 hours. Trial runs are booked 3-5 months before the wedding, and scheduled based on your and your artist's availability. We will meet you at one of our locations in town or at your home and arrive prepared with our fully stocked professional kits, seating, and lighting. Your session will take about an hour, or until you are thrilled, whichever comes first! Makeup - This is a time for you and your artist to get acquainted and collaborate on a design for your wedding day makeup. Your artist will ask you several detailed questions about you, your gown, overall theme/feeling of your wedding, and review inspiration photos of bridal makeup that you like. We encourage and welcome open and honest communication because our goal is to exceed your expectations, so don't be shy! Hair - Your hair trial can be anytime you wish, though many clients like to have it before their makeup trials. Your stylist will consult with you at length about your hair type, personal preference and desired style for your wedding. We encourage you to share inspiration photos with your stylist, and if you have two looks you like, please show us both! We've Our miracle worker stylists can often design a style that captures multiple elements of different looks! At booking, we ask for a timeline so we can ensure to book enough time for your party. 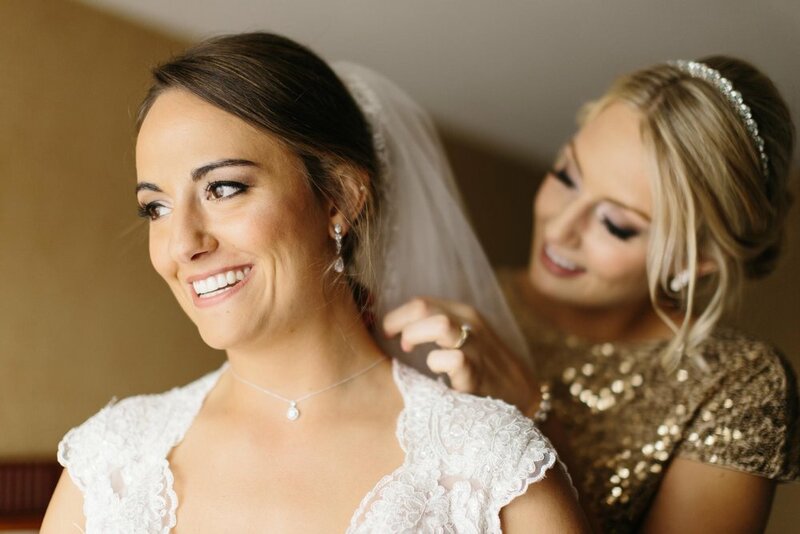 Many brides don't have this exactly ironed out so far in advance, so as the day approaches, we will check in with you, your photographer, and your planner to find out when you need your hair and makeup complete. Our goal is for your day to run as smoothly and efficiently as possible so that you can have fun, which means we will go out of our way to make sure we have the correct timeline on our calendar! The week before the wedding, we will confirm everything again so that you know exactly when to expect us. How's that for peace of mind? We will arrive 15-30 minutes ahead of our planned start time to get set up. Just like the trial, we will come with fully stocked kits, seating and lighting; all to make you and your party stunning! We plan plenty of time for each member of your party to get their makeup done, and we also build in extra time for contingencies or last minute additions. This guarantees your morning is pleasant and relaxing, free from worry about running behind schedule. When you get in the chair, we will go over your trial run makeup/hair to make sure nothing has changed. We want to make sure your wedding day makeup exceeds your expectations and that you look and feel absolutely radiant. Our professional onsite services save you time - You can relax and enjoy the morning with your friends and family. We specialize in fresh, natural makeup that looks great in person & photographs flawlessly. We only use the highest quality products - expect your makeup to look gorgeous until the end of the night. Our kits are clean, organized, and sanitary, because the only thing that comes before beauty is your safety. Airbrushing and false lashes for everyone booked in your party are included in our rates. We book one wedding a day for each of our team members so that our focus is 100% on you, not our schedules, not rushing through your party to race off to work on another bride, YOU. Personalized experience - You will meet your artist upon booking and have constant communication with her up until the big day, and beyond. We're with you every step of the way with quick responses to your calls, emails, or texts! Optional touch-up services or all-day packages are available. No second artist fees EVER. We love it when large parties book us and would not dream of charging you extra for it. We are a team. So in the unlikely event that artist gets sick or has an emergency, your beauty experience is still 100% guaranteed. You can't put a price on the comfort you will feel knowing that no matter what, we'll be there for you on the most important day of your life. We offer hair and makeup services as well as hourly touch-ups and all-day options. All of our packages include the bride's trial run. We are happy to accommodate smaller parties. Please contact us for a personalized quote. *Bridal services are required for all wedding bookings. *Touch up services are not included in booking minimums. After your introductory phone call, we will email you a customized proposal for your unique wedding that includes a contract and link for your secure deposit payment. It's that easy! Once booking is complete, we will put you in touch with your makeup artist and/or hairstylist who will be with you every step of the way until the big day arrives. We typically book weddings 10-18 months in advance, especially for the more popular months such as September and October, and since we do not book our artists on more than one wedding per day , our calendar tends to fill up quickly. Dates can only be secured with both a signed contract and deposit. If you'd like to learn more about planning your Moxxie Experience, please contact us here to get started. We will respond quickly with availability and an invitation to schedule your free call with us. We do hope this guide of our services has been helpful and informative. We thank you so much again for your interest in our services and can't wait to meet you! Sincerely, - The Moxxie Team.